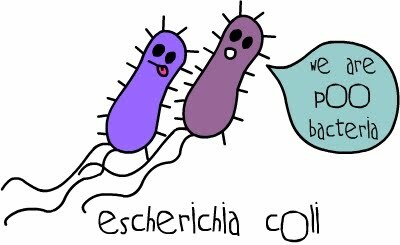 No Surprises in E. coli Outbreaks of Eastern and Central Canada: The Usual Food-Source, and PHAC’s Anticipated Race against Time! The Public Health Agency of Canada (PHAC) , the institute in charge of responding to public health emergencies and infectious disease outbreaks, published a final update on the E. coli outbreak that occurred between July 6 and September 4, 2015, in Alberta, Ontario, Quebec and Nova Scotia. Of the 29 cases reported, seven were hospitalized. According to PHAC, investigators identified E. coli O157 to be responsible for this outbreak, “with the use of enhanced techniques”, that enabled them to rule out 2 other reported cases with similar gastrointestinal symptoms, as not being related to the outbreak strain. The food-source associated with the outbreak has not been identified yet, but further investigations are underway. This is the second E. coli outbreak of 2015 in Eastern Canada, with the first occurring between March 13 and March 31 in Alberta, Saskatchewan, Ontario, and Newfoundland and Labrador; all the 13 cases that were reported had a matching genetic fingerprint of E. coli O157:H7. According to PHAC report, exposure to contaminated leafy greens (including all varieties of lettuces, in addition to other green leafy vegetables such as kale, spinach, arugula, or chard) was identified as the possible source of the outbreak. However, CFIA could not identify a specific food product as the single source of the pathogen, which illustrates the challenges associated with food-source attribution in outbreaks. Escherichia coli O157:H7, a Shiga toxin–producing E. coli (STEC) is the strain most commonly associated with outbreaks of bacterial gastrointestinal disease in the North America. The subpopulation most severely affected by the outbreaks have historically been young children, and the elderly, whereas in the latest Canadian outbreak discussed in this report, the majority of patients were young males (average age of 23); however, the report does not disclose the age distribution of the patients who were hospitalized due to the severity of their condition. The most common routs of transmission of E. coli pathogen, leading to outbreaks are generally identified to be contaminated food, water (drinking, irrigation or swimming), and environment, as well as person-to person and animal-to-person contact (Turabelidze et al. 2013). Analysis of outbreak data suggest that foods most frequently implicated in outbreaks in North America are ground beef, leafy green vegetables, and unpasteurized dairy products, as well as sprouts, unpasteurized apple cider, melons and other fruits, and salami (Neil et al. 2009). Therefore, the suggested association of the earlier outbreak to leafy green vegetables, is in line with the characteristics of outbreak food-sources in general. Numerous studies have specifically examined the survival and growth of E. coli on leafy vegetables. For instance, Parker et al. (2011) demonstrated E. coli’s “ability to multiply in the phyllosphere of whole lettuce plants” on shredded and intact harvested lettuce leaves, due to an up-regulation of genes involved in oxidative and osmotic stress, which also make the bacteria more resistant to antimicrobials commonly used in the fresh-cut produce industry. 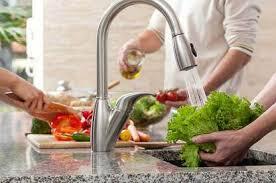 Therefore, the food industry needs to implement more effective strategies in handling raw vegetables. 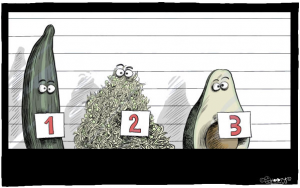 Examining the timeline of PHAC’s report on E. coli outbreaks, reveals that in both occasions, it took the agency over two months from the time of the first reported case, to come to a final conclusion about the strain and possible food source. A similar timeline can be observed in E. coli outbreaks from previous years as well (2012 and 2013). The use of new and improved methods, such as Matrix-Assisted Laser Desorption/Ionization Time-of-Flight (MALDI-TOF)-Based Peptide Mass Fingerprinting, as suggested by Chui et al. (2015) can contribute to a more rapid identification and fingerprinting of the pathogen, which can in turn, reduce the burden of outbreaks by early targeting of the attributed food source. How can we, as consumers, prevent outbreaks from happening? How do you evaluate the effectiveness of communication methods, and timeliness of response to outbreaks by PHAC? Neil, K. P., Biggerstaff, G., MacDonald, J. K., Trees, E., Medus, C., Musser, K. A., … & Sotir, M. J. (2012). A novel vehicle for transmission of Escherichia coli O157: H7 to humans: multistate outbreak of E. coli O157: H7 infections associated with consumption of ready-to-bake commercial prepackaged cookie dough—United States, 2009. Clinical infectious diseases, 54(4), 511-518. Parker, C. T., Kyle, J. L., Huynh, S., Carter, M. Q., Brandl, M. T., & Mandrell, R. E. (2012). Distinct transcriptional profiles and phenotypes exhibited by Escherichia coli O157: H7 isolates related to the 2006 spinach-associated outbreak. Applied and environmental microbiology, 78(2), 455-463. Turabelidze, G., Lawrence, S. J., Gao, H., Sodergren, E., Weinstock, G. M., Abubucker, S., … & Tarr, P. I. (2013). Precise dissection of an Escherichia coli O157: H7 outbreak by single nucleotide polymorphism analysis. Journal of clinical microbiology, 51(12), 3950-3954. In my opinion, I believe that our nation’s food safety system has come a long way to reduce the outbreaks of E. coli O157:H7, bringing the incidence rate per 100,000 people down from 3.8 to 1.4 in nine years (PHAC’s graph from lecture notes). Regardless, we can and will continue to do better. I agree that two months is a considerably long time for PHAC to identify the causative agent and contaminated food source. However, this may be due to many factors that hinder the efficiency of the investigation, such as under-reporting, method availability and instrument sensitivity. Under-reporting from patients’ reluctance to visit the doctor may be the ‘rate limiting step’ in identifying the outbreak. I strongly believe more emphasis could be placed on educating the public about foodborne illness. While the food industry is doing its best to minimize the risk of transmissible foodborne pathogens, consumers need to be better informed about practicing proper hygiene and reporting their symptoms to their healthcare practitioners so that it would be on record. PHAC should work closely with the provincial health agencies, e.g. HealthLink BC, to deliver outbreak information to the public through posters, community workshops, public service announcements and social media. Consumers should also ensure that their produce are washed thoroughly prior to consumption, stored under refrigeration and discarded if the quality is doubtful. Outbreaks are inevitable unless policymakers, food producers and consumers all do their part. Thanks for your very thoughtful comment. I specially agree with your suggested methods of reaching the public through the use of community workshops and social media, and think they have a higher potential in raising awareness than what is being used now! This is most concerning because the consumption of whole/raw leafy green vegetables is on the rise as people become more aware of health and weight balance. Common ingredients such as kale, lettuces, arugula, and spinach are often found in salad mixes sold to the masses on a daily basis. I agree with Jasmine that public education about how to handle foods to prevent illness is definitely one of the best ways to prevent outbreaks. Aside with working with provincial health agencies,I think a point of target that PHAC should address soon with provincial sectors, is how small-scale organic farms will be handled in terms of safety inspections, practices, and certificates. Although they are small compared to the big corp farms,they are essential in the Canadian market as popularity is increasing for pro-local and organic foods. Small-scale organic farmers do not completely follow the rigors of inspection due to financial issues and this topic is still being debated. How can all producers follow a standard guideline in inspection and safety of foods without financial restrictions? Thanks for your interesting comment! That is definitely a concern which needs to be addressed, considering on a greater scheme, the cost of illness for these outbreaks may well outweigh the expenses required for thorough testing and ensuring the safety of these food items. Very interesting article! We often associate E. coli with under-cooked beef or meat products but many people seem to forget about the leafy greens component that’s also a major part of our diet. In my opinion, as food practitioners we should also emphasize the importance of proper handling and cleaning of ready-to-eat or fresh foods in addition to the potentially hazardous or high-risk foods because not only are leafy greens a source of E. coli they are prone to causing Salmonella spp. as well! From the course notes we also saw that in the United States produce cause the most foodborne-associated illnesses, whereas meat and poultry causes the most foodborne associated deaths. I agree that meat and poultry seem to be regarded by the general public as the major source of contamination with food-borne pathogens, which calls for a more effective strategy to be adopted in order to raise awareness about risks associated with produce! I think as Jasmine pointed out, community workshops and social media might be effective tools in educating the public about the topic.